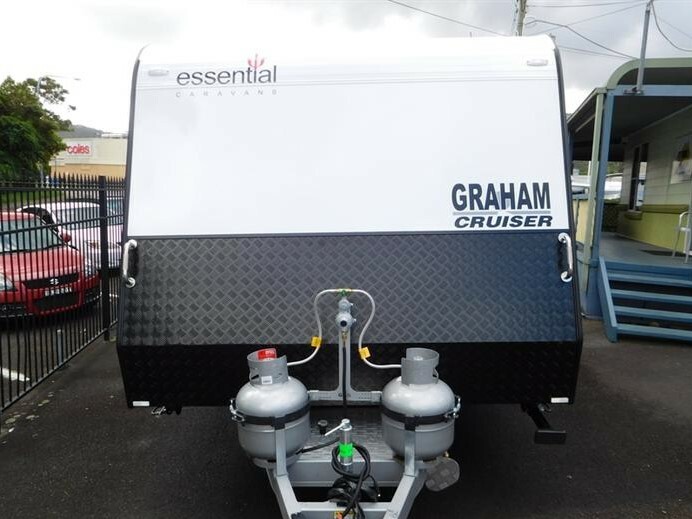 ssential Caravans and Alan Graham’s Caravans & RVs have marked their epic collaboration with the release of an exceptional caravan - Graham's Cruiser. Featuring stunning finishes and top of the range appliances, the 22ft caravan represents excellent value of money. In this article, Alan Graham’s will introduce this latest model in our stock to you. If you have any enquiries regarding our products, contact us now. Alan Graham’s are a family owned business that has been in the caravanning industry since 1976. 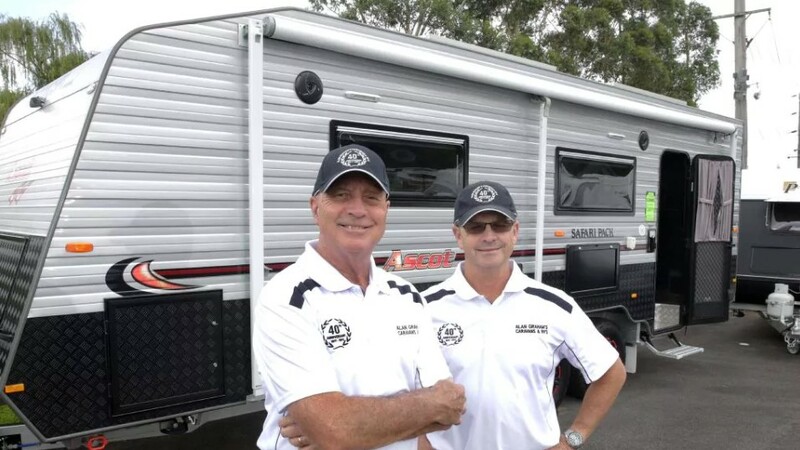 From a very humble beginning of selling cars, now Alan Graham’s have become one of the most accredited caravan dealerships serving all customers all over Australia. As we have grown larger one thing that has still stood the test of time is the passion for caravanning. Founded by caravan enthusiasts, Alan Graham’s take pride in offering customers heartfelt service, real caravanning advice and great prices. The North Gosford based dealership stocks a variety of popular brands catering for all types of caravanners. 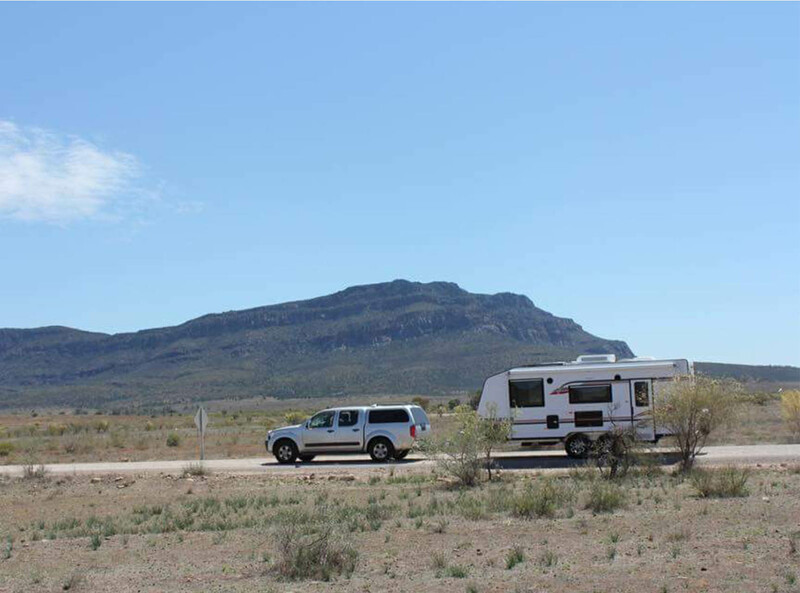 Acting as a one-stop shop for caravan needs, Alan Graham’s provide customers in Central Coast with caravan-related solutions, such as: caravan finance, caravan maintenance service and caravan insurance. Essential Caravans’ reputation is a culmination of more than 35-year experience in the caravan industry. 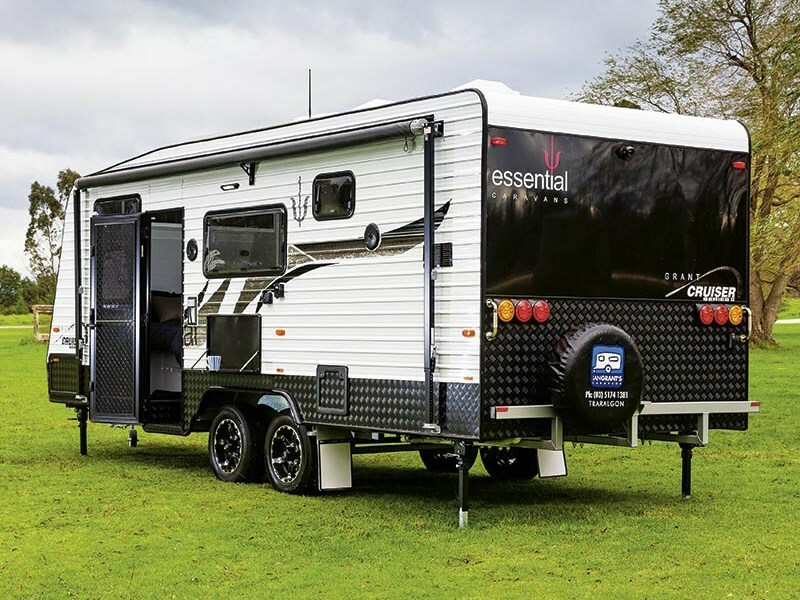 Established by an experienced team of managers, builders, planners and industry experts, Essential Caravans is a fresh wind in the Australian caravan market with unmistakable style and practical fittings. Using only the finest appliances, each and every Essential Caravan has been designed to fit with Australian conditions with ultimate comfort when you are away from home. What sets Essential Caravans from others is its offering of customer-based manufacturing and after-sales service. The Australian manufacturer has built exclusive caravans for it’s Australia-wide network of Dealerships. With the Graham’s Cruiser, once again, Essential Caravans has cleverly created a brilliant caravan that bears Alan Graham’s appreciation of family bonds and reflects Essential Caravan’s attention to detail and luxury of an high-class caravan. 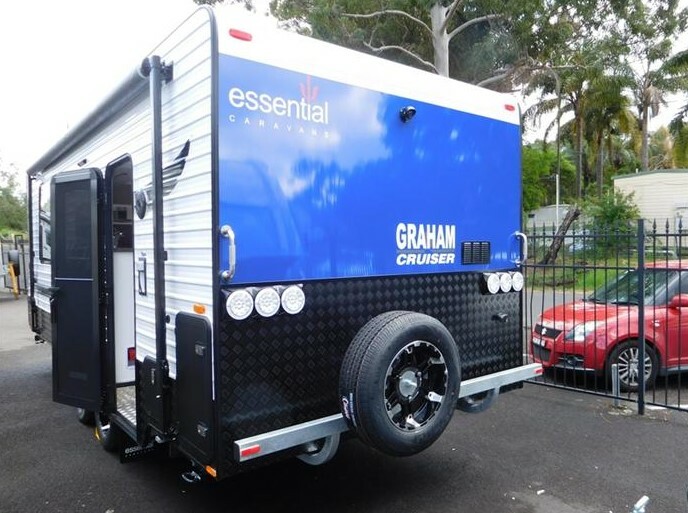 Badged as a caravan for family, Graham’s Cruiser features Supagal Australian Made Chassis, leaf spring suspension, 10” Electric Brakes to All Wheels and 15” Alloy Wheels. The exterior storage is quite generous with a fully galvanized lined front tunnel boot with large access doors to both sides. This 22ft Australian-made caravan is well-balanced and has the capacity to take you family away for more than just one long weekend. 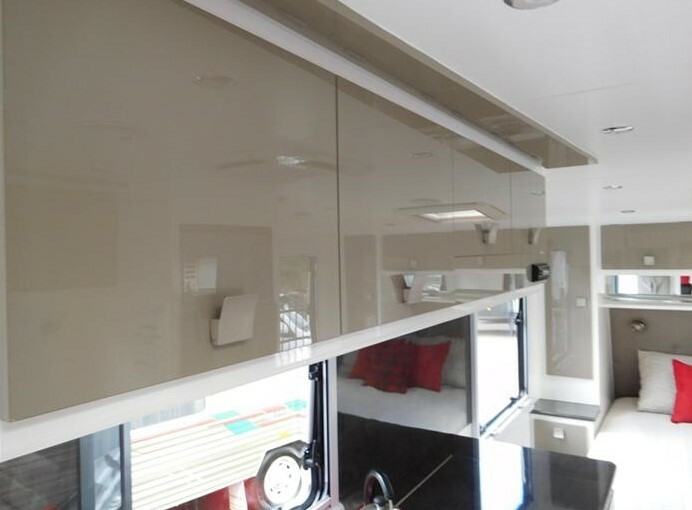 The caravan boasts a smooth white high-profile aluminum cladding and a fully insulated roof and walls with meranti timber frame. Essential Caravan’s signature can be apparently seen from its double-glazed push out European style windows. There is an external large fold down picnic table for your family. To complement with the “all in the family” feature, the van offers an external gas bayonet near the front tunnel boot and external speakers, adding fun to outdoor parties. 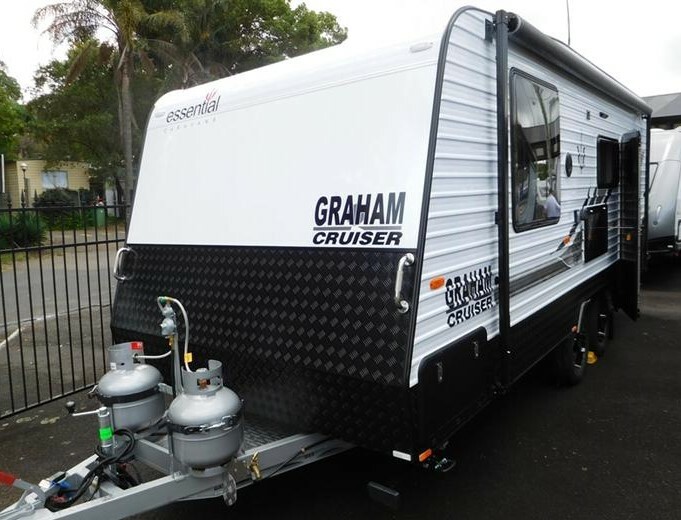 Graham’s Cruiser comes in with a great variety of layouts that offer great comfort. The back-and-white theme continues to dominate the interior of Graham’s Cruiser, which is displayed in white ceiling and kitchen overhead locker. 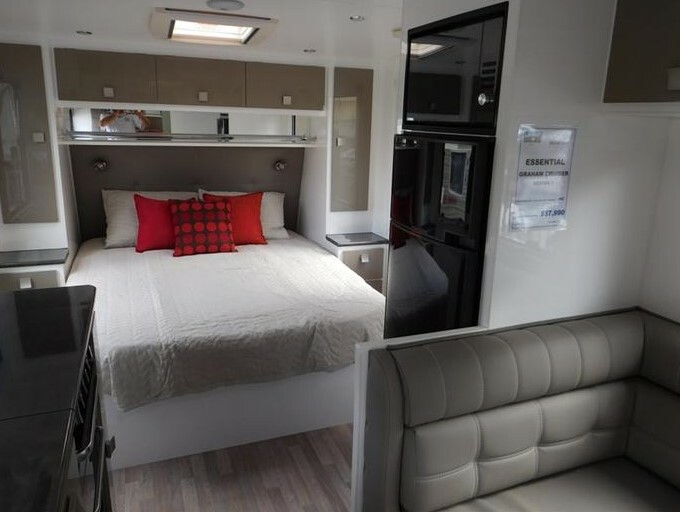 The floor which is made of premium vinyl, blending together with the excellent lighting systems, brings warm and luxury feel to the caravanners. The main bedroom has a queen-size bed surrounded by wardrobes from two sides. The bathroom features separate shower and toilet ensuite with glass door shower and a domestic porcelain bowl toilet. One bonus for ladies is the mirror in the ensuite. Kitchen has equipment that you need to make delicious meals for your family, for example: fridge, microwave, gas system and kitchen counters. A perfect-length bench makes sure that there are enough seats for your family when eating inside the caravan. For detail information, see our Graham’s range here. With a price range from $50,000 to $75,000, the van is quite affordable for Aussie families. Featuring a full pack of practical fittings, the Australian made caravan is worth your investment. Alan Graham’s offer competitive finance packages for your caravan purchase and accept your trade in. If you have any questions regarding our product, contact us today. We will be happy to assist you with what you need and show you around our dealership in North Gosford. Alan Grahams is your trusted local caravan dealership that has been serving all caravan needs of Aussies for more than 40 years. Our specialty includes the sale of new and used caravans from Concept, Newlands, and Essential. We also own a fully equipped service workshop to cater for your caravan repair in Cary Street, Wyoming. Led by enthusiastic caravanners, we are happy pass on any advice to our customers and our blog is fully dedicated to that. You can find a great range of high quality used caravans for sale that is mechanically tested and accessed before going on sale. Small caravans are available for your option. We ensure that our price reflects its true quality, your purchase is always worth your money. If you have enquiries regarding our caravans in sales or service, do not hesitate to contact us.